← Year of the Hack Submitted! 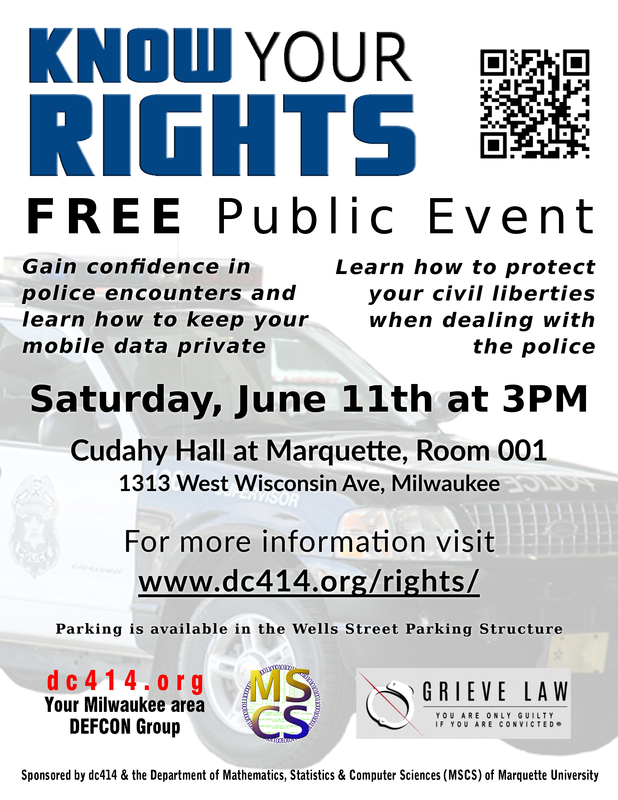 DC414 is proud to present a free public Know Your Rights event at Marquette on June 11th 2016. Help us spread the word! 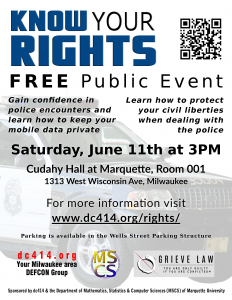 Download this flyer, make copies and post them around! This entry was posted in freedom, group news, privacy, site news, upcoming. Bookmark the permalink.